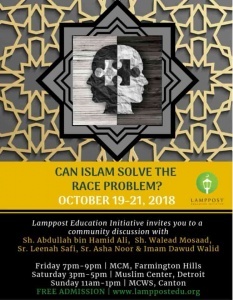 To address these issues, the Lamppost Education Initiative is pleased to present a special three-day ‘town-hall’ discussion-“Can Islam Solve the Race Problem?” A panel of Muslim American scholars will engage in dialogue with the expressed purpose of how we can build and develop better relationships among Muslim communities in America. There is no better place for this seminar than Detroit, Michigan. 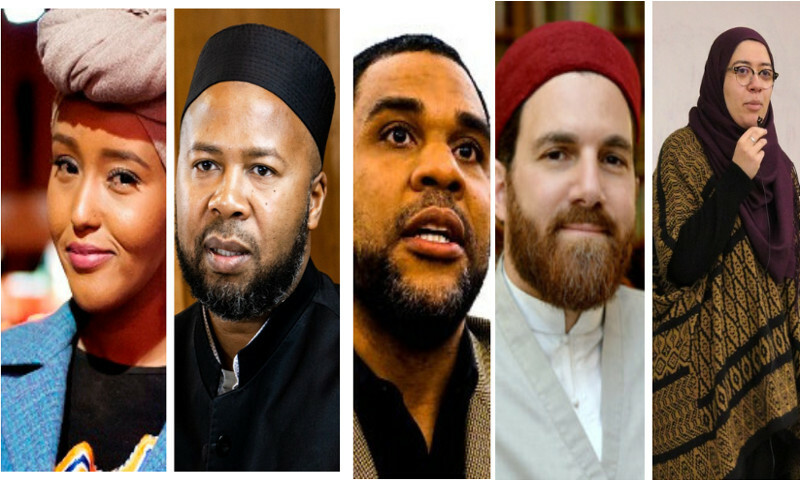 The Muslim population of Detroit and the surrounding area is like a microcosm of Muslims throughout America, with a rich and diverse community of Arab, Pakistani, Somalian, and Black American Muslims.